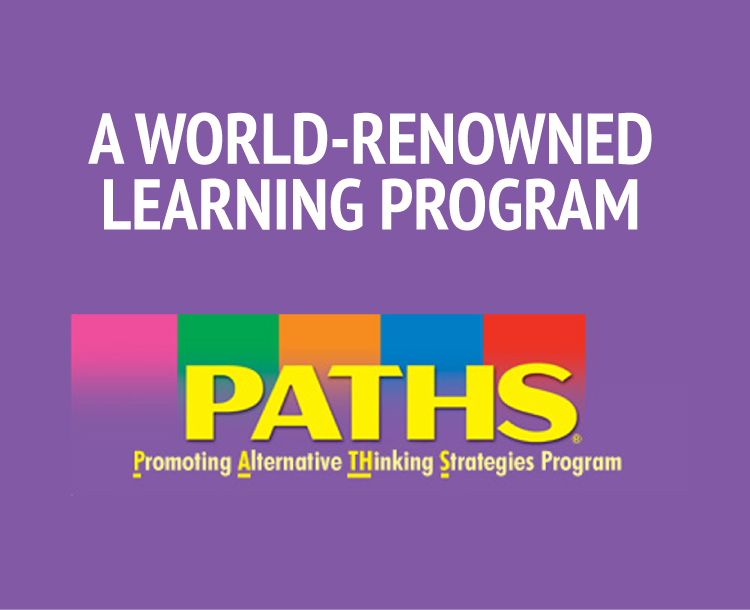 One of the most important components of the Bee Me Kidz program is PATHS® (Promoting Alternative THinking Strategies), an internationally renowned social/emotional learning program. The PATHS program is a fun, flexible and engaging way to significantly improve the social, emotional, and cognitive skills that are so important to children’s success at school and in life. The curriculum focuses on five areas of social and emotional development: self-control, emotional understanding, self-esteem, peer relations and interpersonal problem solving skills. This groundbreaking program has proven to be effective with children of different cultural and socio-economic backgrounds as well as those with emotional and behavioral problems. PATHS is recognized around the world for excellence and has received the highest possible rating from Blueprints for Healthy Youth Development (Center for the Study and Prevention of Violence, University of Colorado). The PATHS program is one of only 10 youth development programs to receive this elite recognition out of more than 1,100 programs reviewed to date. For more information about PATHS, click here.